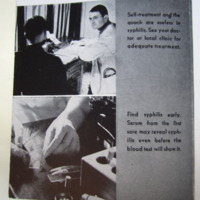 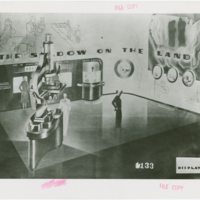 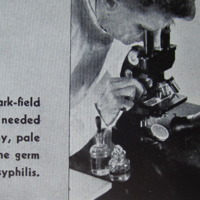 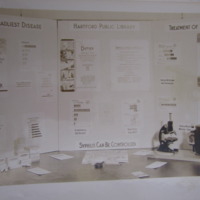 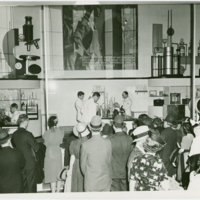 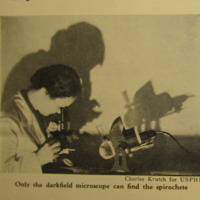 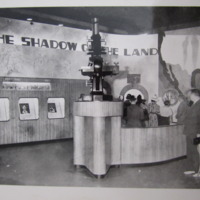 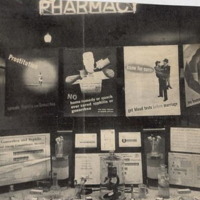 This photograph shows a display about syphilis created by the Hartford Public Library. 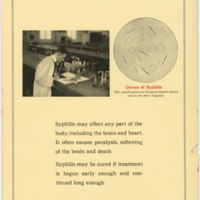 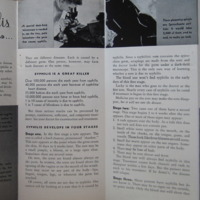 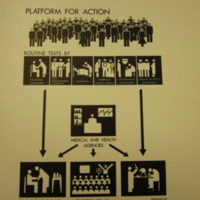 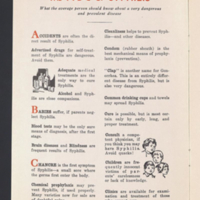 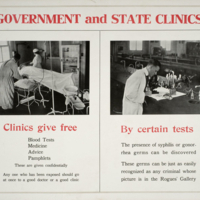 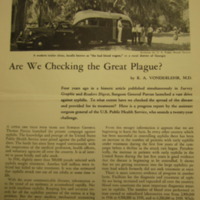 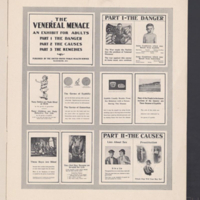 It includes infographics and charts along with some items used in syphilis control. 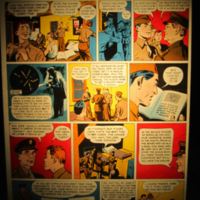 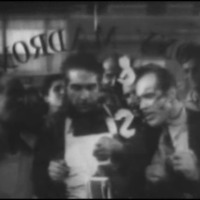 Some of the images are reprints of ones from Parran's work.